The Company was started in White River, by a successful Lowveld entrepreneur, as an outbound Travel Agency, a family managed business with solid family values. 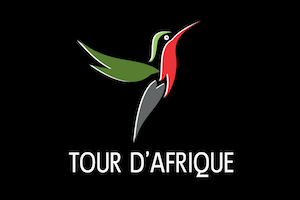 It was officially registered as De Afrique Tours and Travel trading as Tour d’Afrique in 1994. Initially their inbound was in the form of local travel around Kruger and surrounding areas, vehicles and guides. By 1996 an office was opened in Cape Town, initially in a partnership under another brand, but later as the head office and finally as the only office of Tour d’Afrique. Inge Barker (Paauw), later Warwick Blow and finally Craig Van Rooyen in 2004 took over the business completely from the original owner. In 2010 the Thebe Investment Corporation, one of South Africa’s leading investment companies, invested in the business and today own 40% of Tour d’Afrique. 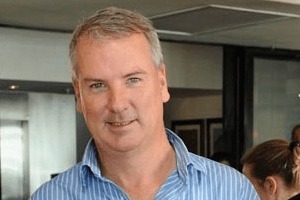 Warwick Blow relocated to the UK in 2015 and sold his shareholding to the remaining partners, leaving Craig and Inge to independently and successfully manage the business of Tour d’Afrique and its 45 staff. The Company has since made two acquisitions within the industry, has representation offices in Milan (Italy), UK and Asia and cemented partnerships in markets which include the USA, UK, Italy, Australia, South America including Brazil, Mexico and Argentina and Asia including Japan and Korea. Given the rapidly changing business environment and tourism landscape, it is imperative to continuously review and evaluate our strategies, plans, institutional delivery framework as well as roles of different industry players to ensure accountability and effective delivery against our mandate. 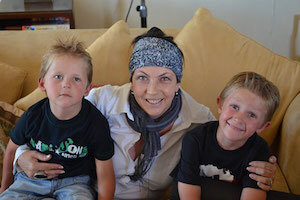 After graduating from the University of Stellenbosch with a business degree, my career took me down the path of initially sales and setting up a computer sales department at Nashua Boland and thus my interest in technology started. Prior to a life in travel, I was a Sales and Distribution SAP consultant to Chevron/Texaco and in 2005 that all changed. I bought shares in Tour d’Afrique as I saw potential in the business and knew I would be able to bring a strong technology and corporate influence in to the operating environment. I have a strong passion for travel and people, and as such, can be found at trade shows, meeting with our customers or suppliers, at networking events or on the golf course. I am an entrepreneur at heart – opportunity needs only to knock once! I was born in Johannesburg, shortly after my parents immigrated to Africa from the Netherlands. My father’s passion was Africa and we spent every holiday exploring Southern Africa and Mozambique, travelling long distances with our caravan and seeking remote places to relax in the sun. When I was 18 I left Africa and lived in Europe and mostly Germany for a year, only to realise Africa is definitely where I want to be. I returned and started off in the tourism industry in 1989, as a trainee tour guide using my languages to take pleasure seeking tourists around Gold Reef City. That was short lived as soon as I released I can influence a tourists itinerary. The next years were spent learning everything the larger Tour Operators had to offer to the dynamic challenges the smaller Operators took on, and on the side, some Game Lodge reservations too. I took on one trade show in Europe to the next, one Event to the next and one VIP, Royalty and celebrity with a fast car and a body guard to the next. I discovered everything could be done, there were no obstacles, these were minor tasks I could do, arrangements agents and tourists simply could not carry out themselves. In 1996 an opportunity came up to work with some Dutch partners in Cape Town and by 1999 was given an opportunity to takeover Tour d’Afrique from its owner and take it forward, with new partners, where it is today. Still very much involved operationally and going the extra mile for our agents, our pleasure seeking tourists, mypartners and our staff. I get real reward out of doing something quite simply what others only dream off, Africa is such a place.